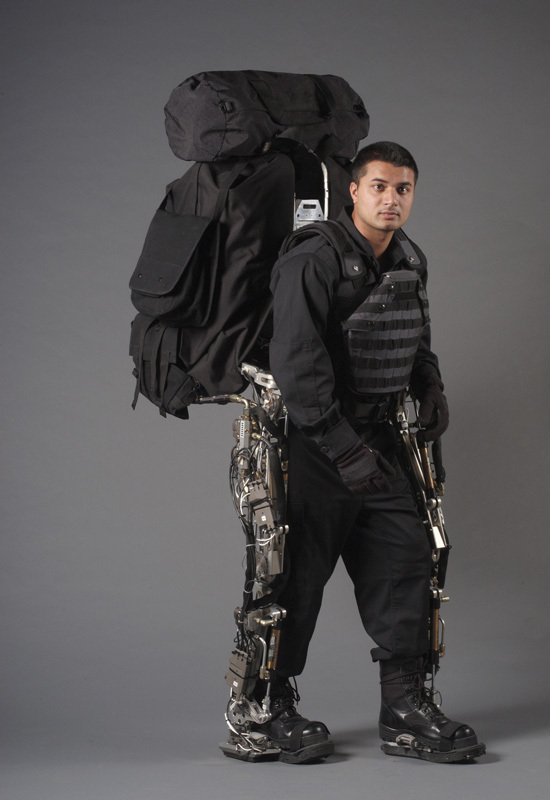 Referred to in long-form as the Berkeley Lower Extremity Exoskeleton, this DARPA-funded Ellen Ripley hydraulic couturier will allow soldiers, combat engineers and civilian techno-sartorialists to carry hundreds of pounds (potentially more) with little physical effort. Such a machine could become an invaluable tool for anyone who needs to travel long distances by foot with a heavy load. 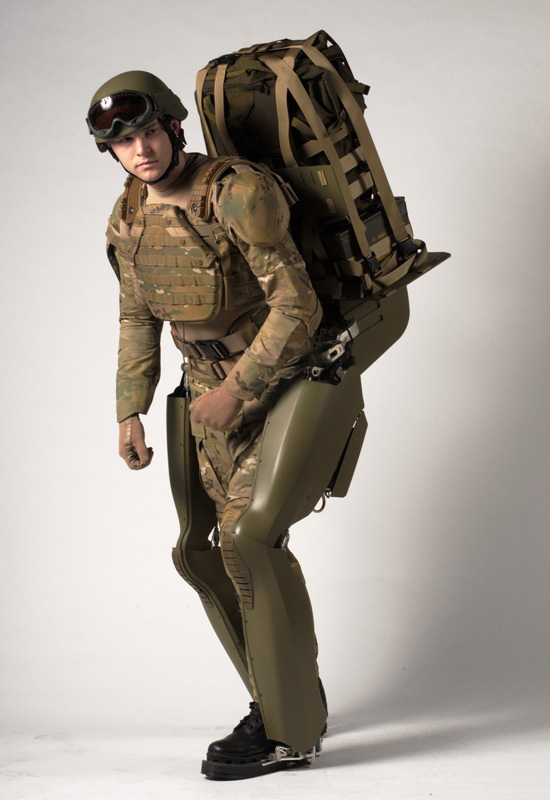 The exoskeleton could eventually be used by army medics to carry injured soldiers off a battlefield, firefighters to haul their gear up dozens of flights of stairs to put out a high-rise blaze, or rescue workers to bring in food and first-aid supplies to areas where vehicles cannot enter. Of course, the BLEEX could also allow a lone landscape architect to carry a shed worth of tools, a truckload of hardscaping material or the entire inventory of an arboretum. With added appendages for the upper extremities, he might even carry an entire garden straight from the factory to an awaiting backyard. It's the Jardinator© miniaturized and exoskeletonized. With just a small army of highly trained migrant workers, you could overlay an interstate highway or landscape a dozen Central Parks in a day. Or a bed of mums in one picosecond. This is the future of guerrilla gardening. You get suited up with the Bleex, and with your night vision goggles, satellite navigation systems and weaponized hoe, you set about re-wilding urban concrete wastelands. Under the cover of darkness, a squadron of Bleex Soldier-Gardeners armed with prairie grasses and wildflowers carries out sabotage on Wal-Mart parking lots. funny, was just in the process of writing about this for subtopia. well, we'll share the wealth of this one. nice post. Uh oh. Another close call. (See comments.) I think we're all fated to post the same item at the same time. Hopefully the universe will not collapse in on itself then.